EKEN H9R PLUS is perfect for skiing, surfing, driving, cycling, and other outdoor activities. 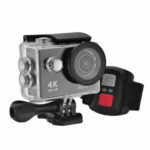 It is equipped with an action camera tripod, waterproof case, mount accessories and a wireless remote. With these accessories, it can be used as a helmet camera as well. Featuring maximum 4K 30fps video resolution and 14MP picture resolution, HDMI output, 170 degree wide angle, and 2.4G remote control, EKEN H9R PLUS is able to capture every moment like a pro. High quality display for video or photo playback. 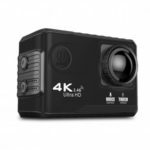 Allows you to get the full spectrum of the features with easy setting adjustments, you can do it all on your 4K waterproof action camera. Featuring 4K 30fps, 2.7K 30fps, 1080P 60fps, 1080P 30fps, 720P 120fps video resolution and 14MP picture resolution, EKEN H9R PLUS is capable of shooting professional quality video from anywhere you wish. Built-in HDMI output port enables you to preview videos or see real-time display on the TV or large screen monitor with a HDMI cable. High quality 170 degree wide angle lens can capture maximum views that you would like to include in your videos. 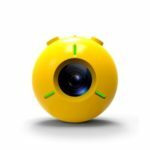 Just download the Ez iCam APP on your iOS or Android phone and connect with this camera. 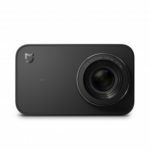 It will let you to control your camera remotely (2.4G remote control included). 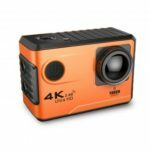 The camera comes with an ultra slim, crystal clear waterproof camera housing, which makes EKEN H9R PLUS capable of withstanding extreme environment conditions, so that you can capture all your adventure underwater.